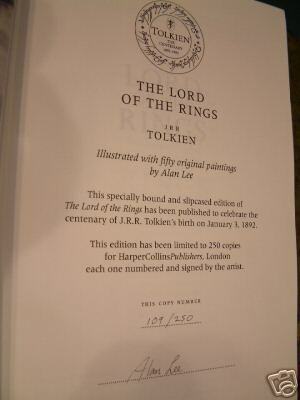 The Lord of The Rings by JRR Tolkien - Signed by Alan Lee - 1991 Special edition Published by Harper Collins to celebrate 100 years since the Birth of JRR Tolkien. 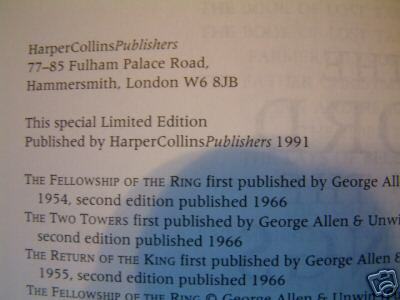 Special edition Published by Harper Collins to celebrate 100 years since the Birth of JRR Tolkien. 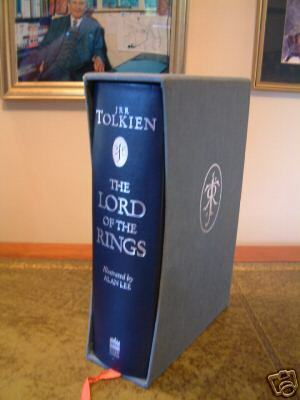 A beautifully presented copy in Blue quarter Leather and Silver gilt designs, Illustrated throughout by Alan Lee. 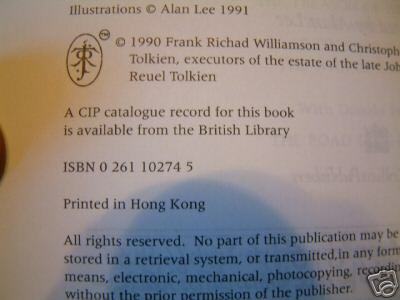 This copy is number 109 of 250. 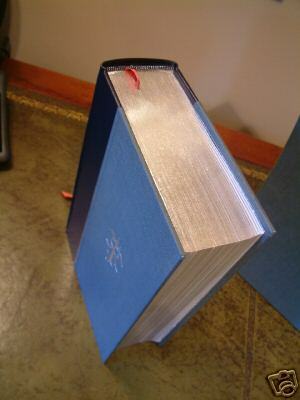 The book is in perfect condition with all page edges in silver gilt, marbled endpapers and housed in a matching light blue cloth slipcase again with the silver JRRT Design. 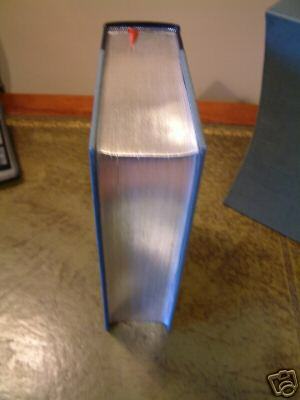 All 3 volumes and appendix in one rare volume. 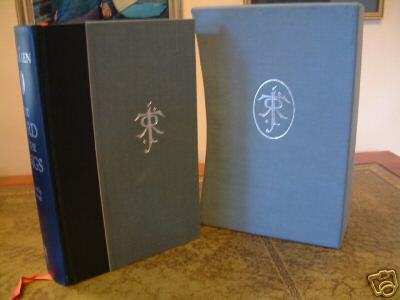 Looks stunning. 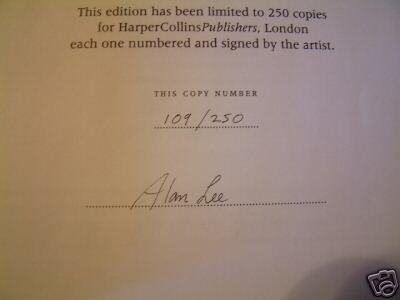 Includes 50 illustrations by Alan Lee, signed limitation page, ribbon page marker bound in.